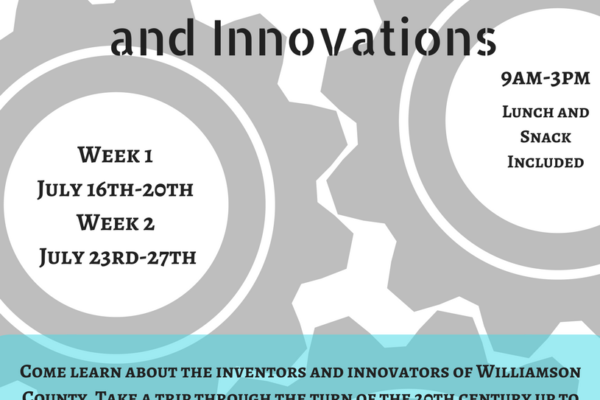 Come learn about the inventors and innovators of Williamson County. Take a trip through the turn of the 20th century up to today. Experience the fun of making and patenting your own invention. Joins us for this fun, hands-on, activity based camp! Complete this registration form and return to Danelle Houck at dhouck@williamsonmuseum.org or 716 S. Austin Ave., Georgetown, TX 78626.